We offer the best in psychic entertainment with positive, accurate insightful readers. Hourly rates range between $75 - $175 per hour. Per Person rates are also available. 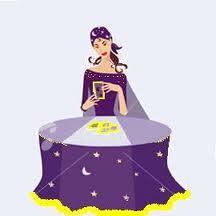 For groups of 10 or more the hostess receives a free reading or a 10% discount off the hourly rates. To get your quote with the Best Psychics in Town, call or email us today! An opportunity to receive a detailed reading with one of our psychics by phone. Choose your psychic, pay for the service, email 3 choices of available times with a phone number. We will promptly get back to you an schedule your appointment. Longer in time and more detailed this reading will cover a variety of information and plenty of time to ask questions. Past present or future. This reading will cover where you are today as well as helpful information in reaching your goals. Lot's of time to ask questions, explore past issues and information from your angels, guides or loved ones from the other side. A complete reading allowing you to receive clairity and direction.